If you saw “Curtains” last month — or any other Staples Players production over the past 6 decades — you were awed by the acting, dancing, sets and lighting. But back in the day, Staples Stage and Technical Staff was separate from Players’ actors. SSTS had their own director, officers, traditions — even their own t-shirts. Mark Groth was a proud SSTS member. He was president in 1968, the culmination of a 3-year career in which he helped construct a set with moving turntables, another that jutted out into the audience, and multimedia projectors for the original show “War and Pieces,” which ended being part of a cultural exchange program with the USSR. 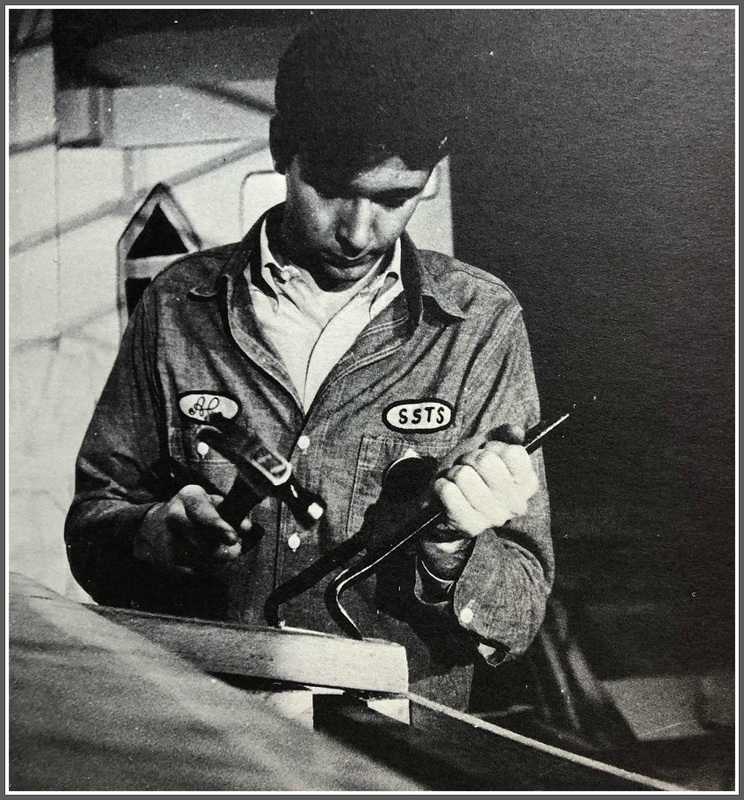 Staples Stage and Technical Staff member Al Frank working backstage, from the 1967 yearbook. Groth had 2 wonderful mentors at Staples. Both were faculty directors of SSTS. When Gilbert was on sabbatical, Don Budy took over. He was a Staples art teacher — his first job after graduating from college in his native Colorado. He was quieter than Gilbert, but equally as talented and inspirational. Groth learned well. He and fellow SSTS member Steve Katz did all the lighting for the legendary concerts — the Doors, Cream, Yardbirds, Animals — on the Staples stage. Gilbert and Budy’s influences were profound. Groth headed to Rockford College in Illinois — attracted primarily by their state-of-their-art, $12 million theater. He majored in technical theater (and in New York one Thanksgiving break, did the lights for a Hell’s Angels-sponsored Grateful Dead concert). 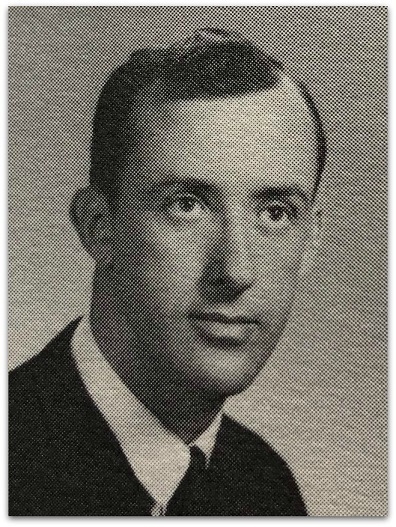 Groth spent 3 1/2 years with the Army’s 101st Airborne, and the next 40 at the University of Colorado School of Medicine’s department of psychiatry. Groth videotaped residents’ sessions through a one-way mirror, as part of their training. It was a fascinating career. “It was terrible,” he says. He offered to help the director. A month later, Kella Manfredi — whom Groth had worked with 10 years earlier — called. With a master’s in theater education, she was now the theater director at Bear Creek High School in Englewood. Would he be interested in helping? Sure! 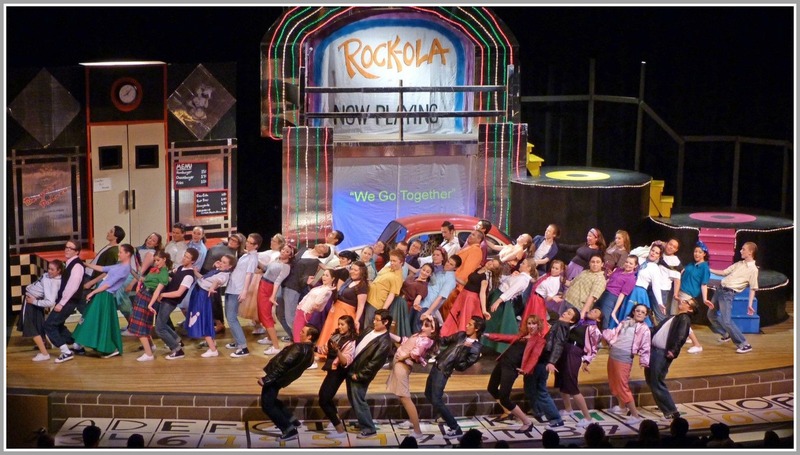 So, for the past 10 years, Groth has worked with a high school theater program that sounds like “the Staples Players of Colorado.” They’ve done “Cabaret,” “26 Pebbles” (about the Sandy Hook massacre), and just closed “Be More Chill” (they got the license when it was still off-Broadway). Which brings us back to SSTS. Thirty years ago, Groth’s grade-school daughter performed in a concert at Cherry Creek High School. As he set up his tripod to videotape, a staff member came over. “Mark Groth? !” the man said. They rekindled their friendship. Budy — now a professional sculptor, in addition to working with Cherry Creek — comes to as many of Groth’s shows as he can. 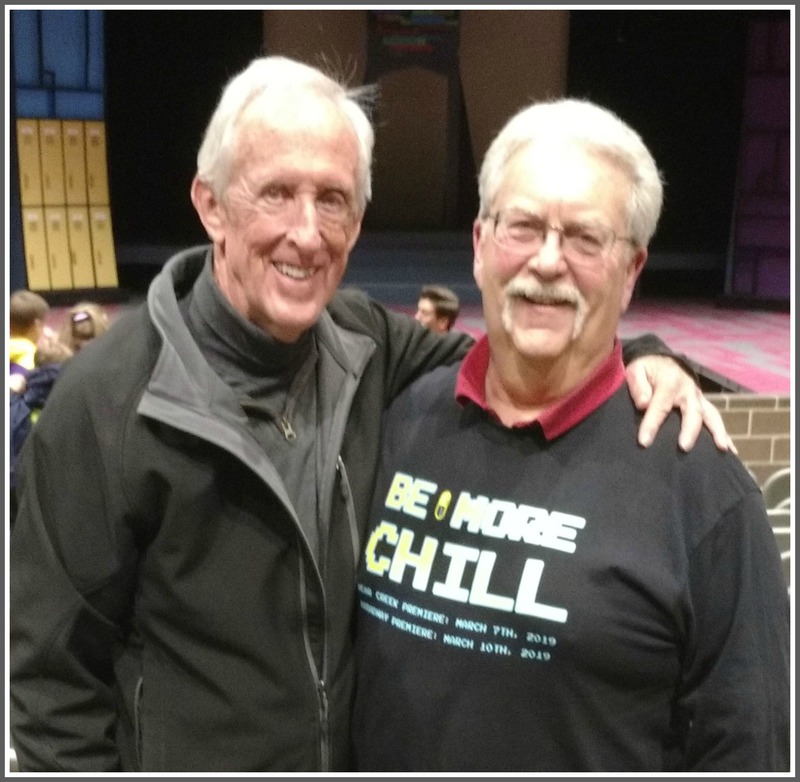 He was there a few days ago, at “Be More Chill.” More than 50 years after they first met, Budy still supports his old student. Groth enjoyed his academic job, and loves working with high school students. He started with a professional-type troupe at Staples, and he’s with a similar one now in Colorado. There’s only one difference. At Bear Creek, his tech crew remains separate from the actors. And — as Steve Gilbert and Don Budy taught Mark Groth all those years ago: Be great.